Owning a home is the largest investment that you will make. Choosing the right type of mortgage is very important as well. Having the wrong mortgage or interest rate could cost you thousands of dollars. If you don’t have a good working knowledge about mortgages, that is ok. Educate yourself and have a comprehensive understanding of them before you decide which mortgage fits you best. INCOME: History of employment, stability of income, potential for future earning, education, vocational training and background, and any secondary income such as bonuses, commissions, child support, etc. CREDIT REPORT: History of debt repayment, total outstanding debt and total available credit. If you have concerns about your credit report, consider contacting one of the major credit bureaus for a copy of your file: Equifax or by phone 1-866-349-5191, Experian or by phone 1-888-397-3742, TransUnion or by phone 1-800-916-8800. ASSETS: Cash on hand, other liquid assets such as savings, checking, CDs, stocks, etc. PROPERTY: The home you are buying must be appraised to determine that it has adequate value and is marketable to ensure it will secure the loan. When you are buying a home a lender will ask you for a lot of different documents. They are doing this so they can completely evaluate your financial history. They want to make sure that you are a good borrower and that you can make the mortgage payment. The lender does not want the property back. Below is a list of financial documents a lender might ask for. Some things may not apply to you. If you are thinking about buying, I would get these documents in order before you meet with a lender so that you are prepared. Payment to cover application fee. Name and complete address of all landlords (past 2 years). Employment history, including names, addresses, phone numbers, and length of time with that company (past 2 years). Copies of your most recent pay stubs and W-2 form (past 2 years). If you are self-employed: Copies of signed tax returns including all schedules (past 2 years), and a signed profit and loss statement of the current year. If you are retired: Tax returns (past 2 years). If you have rental property income: Copies of all lease agreements. Copies of all bank statements from checking/savings accounts (past 3 months). Copies of all stock/bond certificates and/or past statements/retirement accounts. Copies of title documents for all automobiles, boats, or motorcycles. Face amount, monthly premiums, and cash values of all life insurance policies (Cash value may be used for closing costs or down payments. You need documentation from the carrier indicating cash value). Mortgage loans (property address, lender with address, account numbers monthly payment and balance owed on all properties presently owned or sold within the last 2 years). Bring proof of sale of properties sold. Childcare expense/support (name, address, phone number). So what is the definition of a mortgage? A mortgage is a loan taken by a buyer to invest in land or property, with the value of the property as the “security” against the loan, until it’s settled or paid off. The typical period to pay off a mortgage is between 15 and 30 years, during which time you make monthly payments that go toward the principle and the interest of the loan. Non-Conforming Conventional – Loans that are above $417,000. These are generally called Jumbo Loans. Below is a list and description of the different types of mortgages. An FHA loan is one loan that insured by the Federal Housing Administration . The federal government backs (insures) loan for FHA approved lenders. They do this to reduce their risk of a loss if a borrower defaults (does not pay) their mortgage payments. Re-inspection – If an FHA appraiser sees anything on the house that would not be within FHA guidelines (like missing flooring in the house) The repair would have to be done before the appraiser would sign off and finalize the appraisal. If the appraiser has to go back and check on repairs that he stated – it would be and additional charge of $125. The FHA Back to Work Mortgage Program was introduced in 2013. This program facilitates borrowers who have reasons like a foreclosure; short sale; bankruptcy (chapter 7 or 13); loan modification; or ‘Deed-in-lieu’ of foreclosure. It has waived the waiting period of 3 years for a foreclosure. You may be eligible to apply for this loan if you fall in any of these above-mentioned situations. However, to be eligible there are certain criteria that you must meet. While the economic hardships could include loss of job or income; the counseling program includes your knowledge on loan options, your obligations, and evaluation of your household budget with futuristic changes. The HUD 203k Renovation Loan Program is an excellent way to purchase a property and complete basic renovations and repairs without having to pay for it with your own money. The HUD 203K Renovation Loan Program allows the borrower to get one mortgage at a long term fixed rate (or adjustable) rate. This mortgage allows anyone who is buying a home to purchase the home and renovate it all at once. The US Department of Veteran Affairs exclusively designed Veterans Affairs (VA) loan to benefit veterans. It has created a set of rules and requirements to be eligible for this loan. VA loans can be used to purchase single-family residence, condos, townhouses, and manufactured homes. 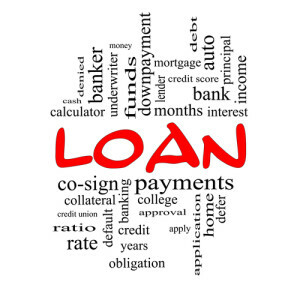 Purchase Loans, which help offer competitive interest rates and even no down payment, at times. VA Refinance Loans, which enable you to either use it for ‘cash out’ refinance, or to refinance lower interest rates. 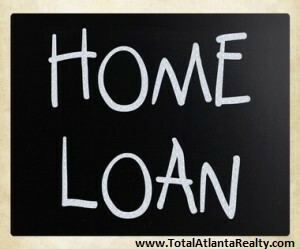 Home Loan Guarantee: If you are short of money to repay, the VA stands behind you to guarantee a portion of the payment. Eligibility: Anyone who is a Veteran, spouse (if not remarried), National Guard members, or Active-duty personnel, or spouse (if not remarried) is eligible for VA loans. The process of applying for VA loans varies based on the type of loan you opt for. People who are in the military, reserves, or retired, have the option to use a Veterans Administration Loan Program (VA). A VA loan is a loan program that allows buyers that have current or past military service to buy a home with no down payment or mortgage insurance. The misconception about a VA loan is that if you use it a homeowner will have to sell your home or pay it off before they can use the program again. In most cases that is true, but there are some cases where you can get a Second Tier Entitlement VA Loan. Veterans and active duty military are entitled to this program the second time around- they just need to accomplish the basic eligibility requirements. A Second-tier VA loan must still be issued by a VA approved lender. The best way to see if you qualify for a second-tier entitlement loan is to talk with a mortgage broker who is knowledgeable about VA loans. What Type of Home Can I Buy? A Reverse Mortgage is a Federal Housing Administration (FHA) insured mortgage program that allows seniors to convert the equity in their home to cash. A reverse mortgage is different from a traditional mortgage. A traditional mortgage the homeowner would make monthly payments. In a reverse mortgage the homeowner does not make monthly payments to the lender. They will pay the loan back when one of three conditions take place. The homeowner dies, moves from their home, or does not honor the loan requirements such as paying homeowner taxes or maintaining the home. A conventional loan is a loan that is not insured or guaranteed by the federal government. It is typically a fixed rate and term mortgage. These loan are for buyers with excellent credit. A Jumbo loan is any amount above conventional conforming loan limits. In monetary terms, any loan over $417,000. These limits are set by the Office of Federal Housing Enterprise Oversight (OFHEO) and are set annually. Like todays conforming and FHA mortgages, jumbo mortgages are widely available. What’s different is that jumbo loans are often expensive. The reason jumbo loans are expensive is very simple, the government does not back jumbo loans and because they are a much higher risk. Must have at least a 680 or better. The higher the loan value the more money they will want buyer to put down. Any down payment less than 20% will have mortgage insurance payments and those could be very high depending on the size of loan. These are guidelines. Each lender may have some variations to these Jumbo guidelines. I would suggest talking to three different lenders that have jumbo loans. A Physician Loan is a special product designed to meet the unique needs of recent graduates from medical school who want to become homeowners. Lenders realized they had neglected untapped potential by not making more exceptions for new physicians who were in debt from student loans, but had incredible future earning potential. To qualify for a Physician Loan you should be one of the following: licensed medical doctors (MD), new doctors, incoming and existing residents and fellows and medical students. Each Lender has specific guidelines and types of medical doctors that are covered. This is a conventional renovation loan. It can be used for primary residence or an investment property. 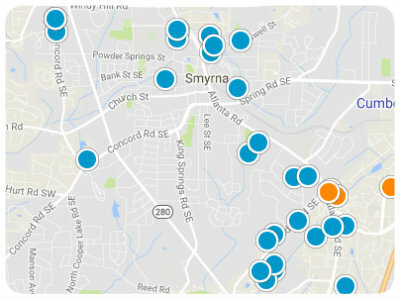 In metro Atlanta it has a maximum loan limit that cannot exceed $417,000. It is the best renovation loan out right now. Collateral: Collateral is the “security” you – the borrower, would offer the lender. Usually, it could be your new property or any of your existing assets. In case you are not able to repay the loan within the given period, it would be a foreclosure. In other words, if you fail to repay, the lender takes possession of your property to compensate the money due. In such a case, you not only lose the property but will also not be eligible for future mortgages or purchases. Principal: This is the total amount you borrow from a lender. Interest: A determined percentage of the principal you agree to pay to the lender every month. Almost every buyer, who applies for a loan, chooses to make a down payment, which is between 3.5 – 20% of the total home price, to reduce the monthly payments. Taxes: Every property owner has to pay annual property tax to the government, which is a percentage of the market value of your property. The percentage varies between cities and states and is used for public works like road repairs, construction of public buildings, etc. Fixed Rate Mortgage: The interest remains the same for the entire length of the loan. ARM Mortgage: Adjustable Rate Mortgage (ARM) has interest rates that fluctuate according to the current market. VA Loan: The US Department of Veteran Affairs has exclusively designed Veterans Affairs (VA) loans to benefit veterans. It has created a set of rules and requirements that set out the eligibility for this loan. FHA Loan: An FHA loan is insured by the Federal Housing Administration (FHA) and has certain borrower guidelines. An FHA loan requires 3.5% as a down payment. Homeowner’s insurance – is a policy that covers damage to your property and your liability, for any injuries or property damage, you or members of your family cause to other people. As you can see, there are many different loan choices out there. Finding the right one to fit your needs can be challenging. Take the time to talk to your lender about all of your options. If you have questions, or need a lender, please contact me (link). I will be glad to assist anyway I can.